Our hi vis fleeces are perfect for keeping the chill off in colder months due to their cosy fleecy material, and they benefit from helping you to stay highly visible at the same time. Our his vis fleeces are comfortable, warm and stylish. They come in a range of sizes from small to 5XL and in a choice of yellow or orange. 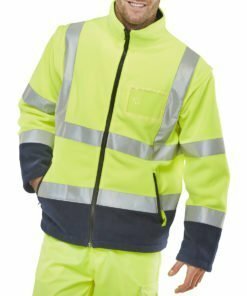 All fleeces are made from high density 300gm polyester fabric and conform to EN ISO 20471 Class 3 high visibility. They’re a must have for your winter wardrobe! Wear one on it’s own or underneath your hi vis jacket for extra warmth. 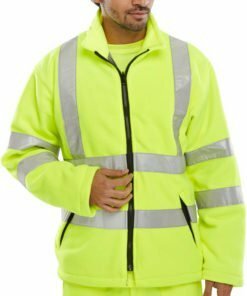 Our hi vis fleeces are part of our range of high visibility clothing where you’ll find everything you need to stay highly visible at work. Need some help with your order? Give us a call on 0330 0885 675 and we’ll do our best to assist.